Beard Oil - Everything You Need To Know About The Beard Oil! Best Beard Styles for Men in 2018 - Beard.org.in > Beard Products > Everything You Need To Know About The Beard Oil! The most nourishing and friendly beard product is the beard oil. It helps to keep your beard safe from all damage and also improve the growth and density of your beard. 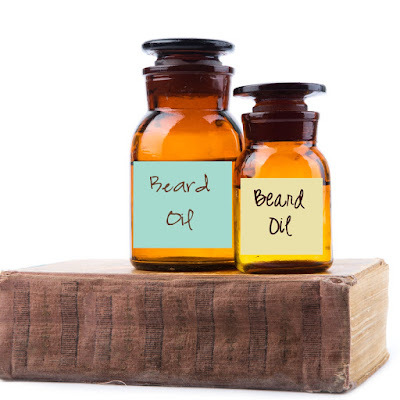 A good quality all natural oil actually has the potential to improve your beard growth if used regularly. You have several essential oils as beard oil varieties and you must choose one that suits you best. However, just as a precautionary measure, avoid almond based oil in hot and warm weathers. Almond generates heat and you don’t need that on hot days! Beard oil is essential nourishment product but excess will make your face oily. All you need is 1-2 drops of it in initial stage and can be increased as per the density of your beard. Make sure you apply the oil on clean and dry face. Rub some between your fingers and use your fingers to gently comb through the beard. Don’t ever use your palms and rub the beard that causes breakage! Once you are done make sure to comb your beard thoroughly to ensure it is spread evenly. And you are good to go! It is to be applied when you decide to grow out your beard. From the stubble stage itself i.e. right from inception, you need to start planning your growth by light application of beard oil. You may apply it every day after bath for proper nourishment and care. Make sure you use one with natural oils. What exactly is beard oil? Where and how do you use it for most effective results? What are Mutton Chops, The beard style?